The ever versatile Durham Bulls Athletic Park was both start and finish line for the ride. A great event for a great cause! 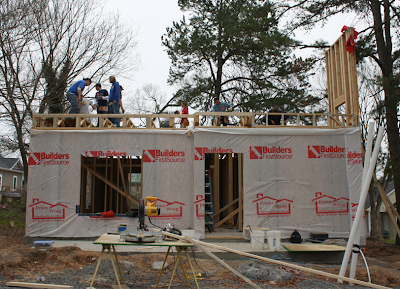 Habitat for Humanity is such an effective, productive organization. This is in the Lyon Park neighborhood off Morehead Ave. near downtown Durham. It seems like Habitat is building a house on every block. 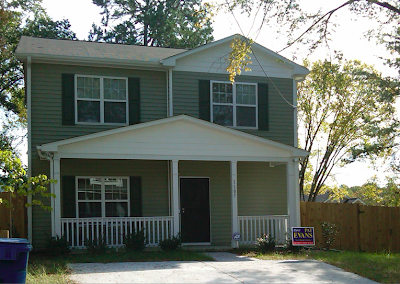 This is how neighborhoods are transformed...for the better! Habitat of Durham can assist you with Holiday gift-giving. CLICK HERE for the scoop. Tinker Parnell: "Gotta have baseball."